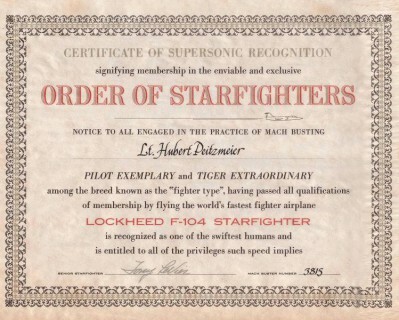 The Order of Starfighters was a log of all F-104 pilots kept by Lockheed in Burbank, California. 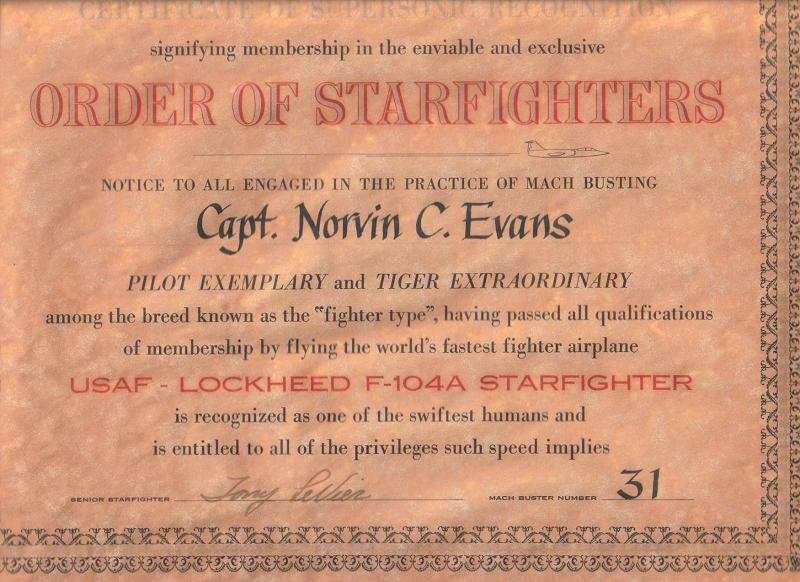 The list only contained customer pilots, not factory pilots within Lockheed. 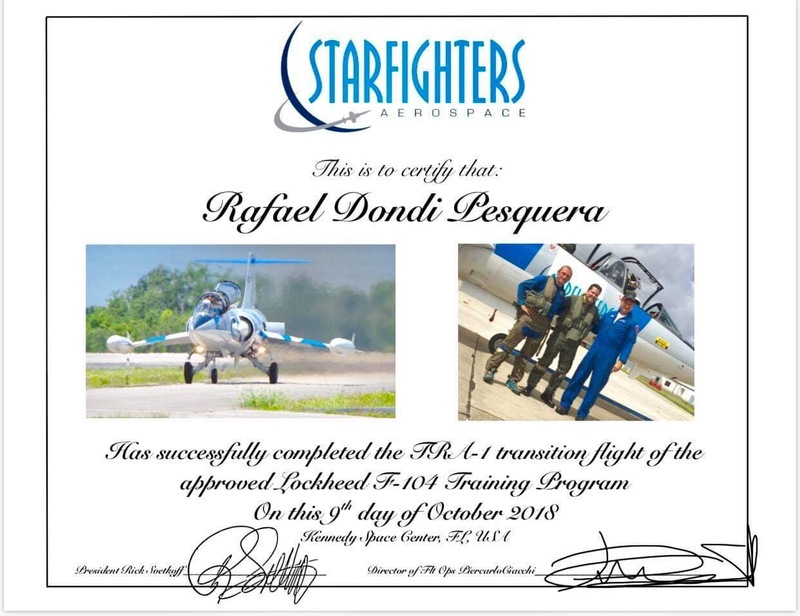 Initially the honor of being included on the list of "The Order of Starfighters" was reserved for the first four hundred military pilots to check out in the F-104A. 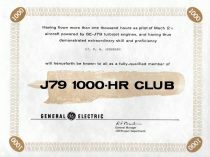 When a new pilot was checked out in the F-104, his info was sent in to Lockheed and he was issued the next Machbuster number in the series. Machbuster number 1 was Lt Col Charles Yeager in 1954. 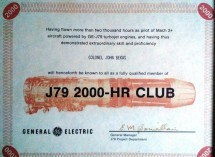 The last number issued was 7072 given to Mike “Smitty” Smith of the Starfighters Airshow Team in 2007. Initially for the first 400 pilots it lateron emerged and it covered lots of pilots of other Air Forces as well. 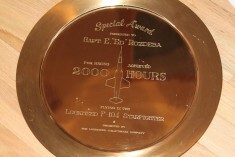 When Burbank closed down, the materials transferred to Lockheed in Marietta, Georgia. Lockheed test pilot Tony Levier and some of the wallet cards. Retired Lockheed Tech Rep Ben MacAvoy contacted Pete many years ago to see if Lockheed still had the logs and Pete was able to find them in a beat up file cabinet that was almost thrown away! 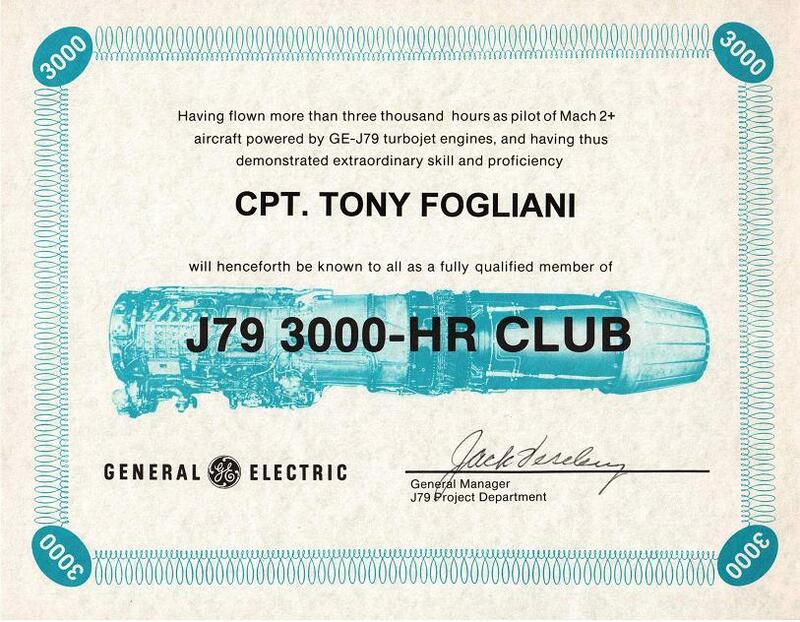 So, if any new pilots get checked out in the F-104, Pete and his team can officially issue them a certificate. 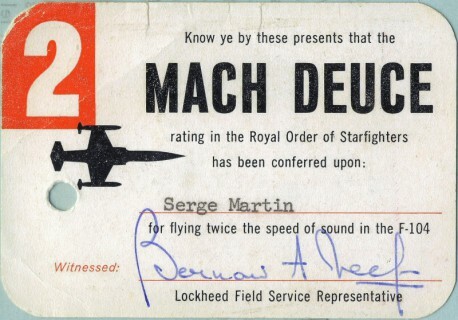 In addition to the Order of Starfighters, Edwards Air Force Base also issued Mach Deuce cards, given when a pilot achieved Mach 2.0 in the Zipper. 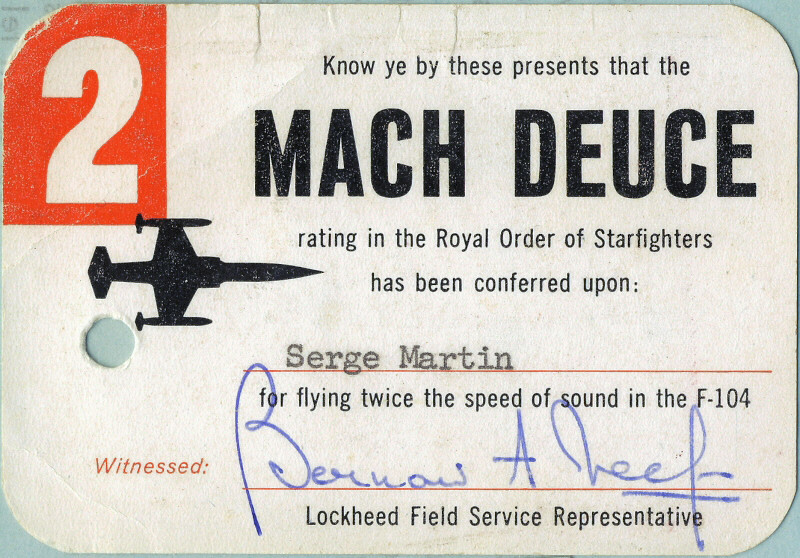 Mach Deuce is considered a rating in the Royal Order of Starfighters. 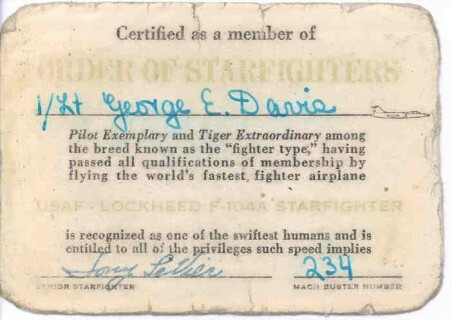 They were signed by a Lockheed Field Service Representative. There is also a lapel pin issued with the card that is an F-104 with the number 2 on the aircraft. Regarding the dates of issuing, Pete stated once: The logs are a bit confusing because they don't always follow a prefect chronological order. The last date recorded in 1959 is December 22, Capt. L. Harrison at Holloman AFB with Machbuster number 631. 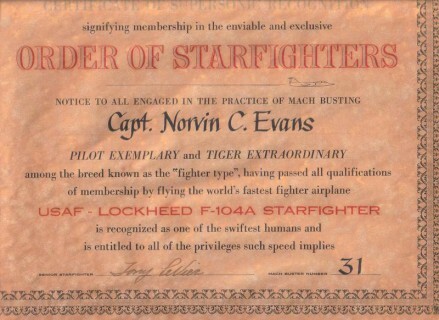 That entry is then followed by number 632 for Capt. Quintin Evans at George AFB on the earlier date of November 4. Entries then start for calendar year 1960. 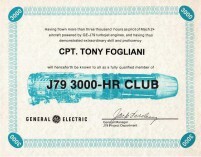 In the middle of the 1960 entries is number 652 for Capt. Stanley Houghtby at George AFB in August 1959, so specific date listed only the month. 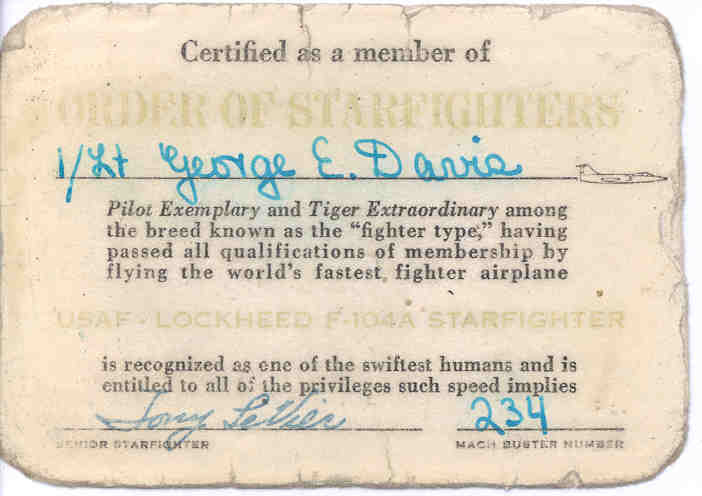 Here some examples of an official The Order Of Starfighters Mach-Deuce cards. 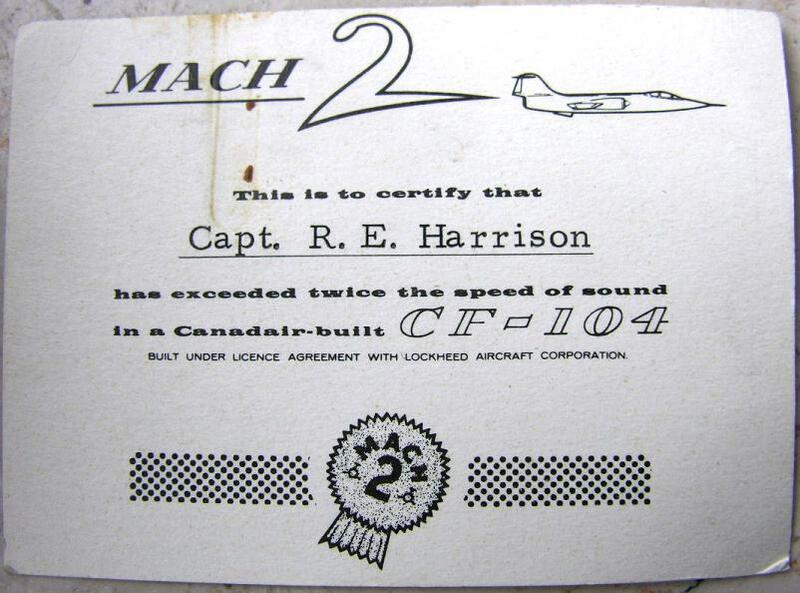 Left the most seen cards, and right a specific one for the CF-104s issued in Canada. 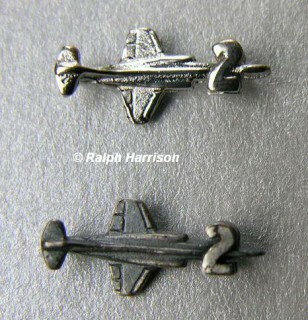 Here examples of official Mach-Deuce lapel pins. The left one from Henk de Waard and right the two pins which were given to Ralph Harrison. 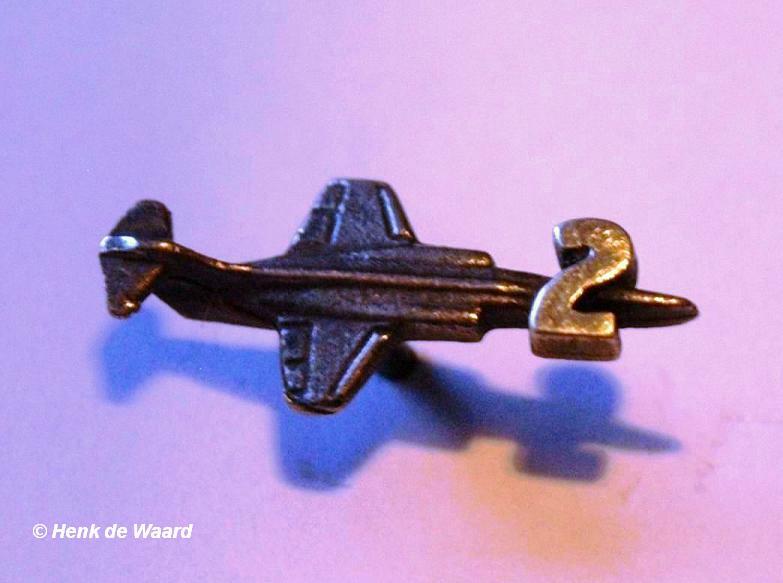 Lockheed released black pins but Canadair handed over silver pins. 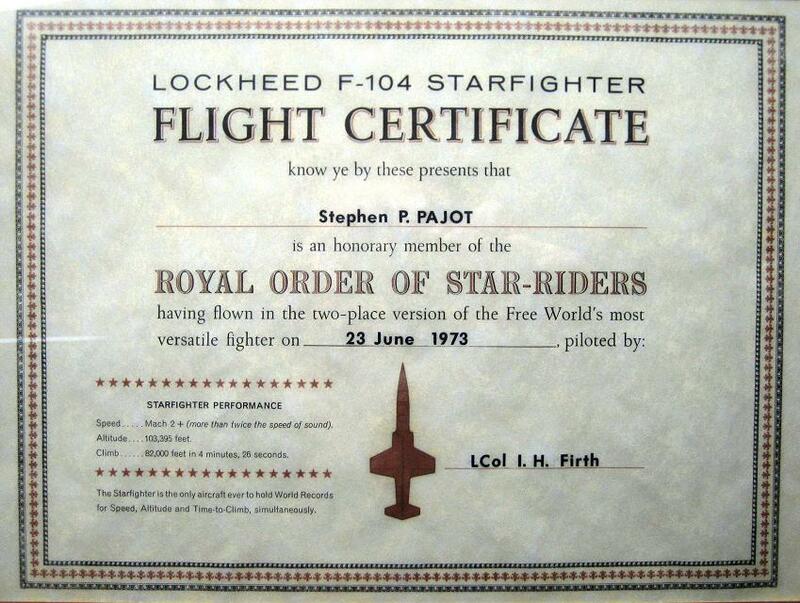 For those who lost their pin there is an ex F-104 pilot who has ordered new ones and you can order one via him. If interested please email him via his email address found here. 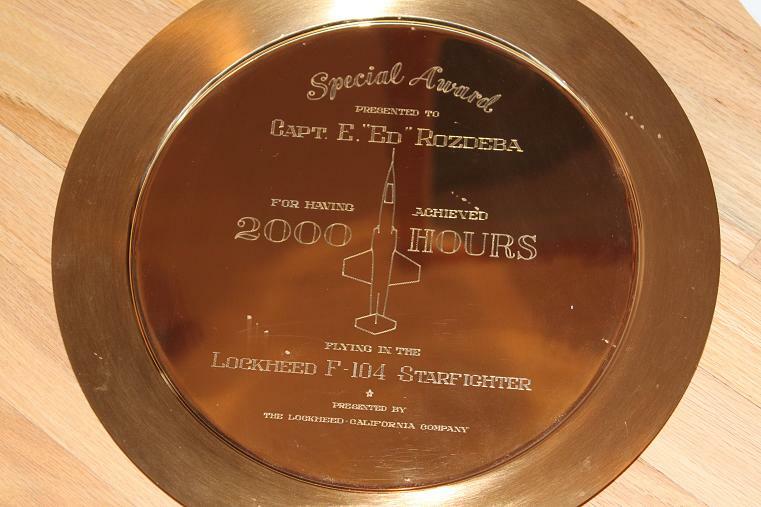 Some pilots received a golden plate for accomplishing 2000 flying hours on the F-104 Starfighter. Beneath an example. 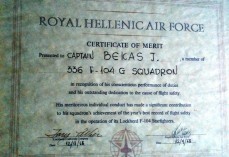 Lockheed also handed out certificates to the squadrons of various Air Forces. 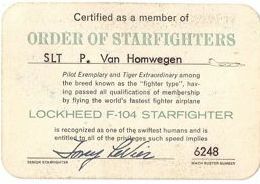 These were to be presented to people who flew in the F-104 Starfighter (as passenger). These were mentioned "Royal order of star-riders". 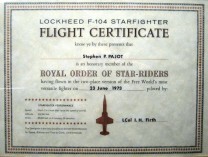 Steve Pajot was given such a certificate when he flew with 417 Tactical Fighter/Operational Training Squadron. 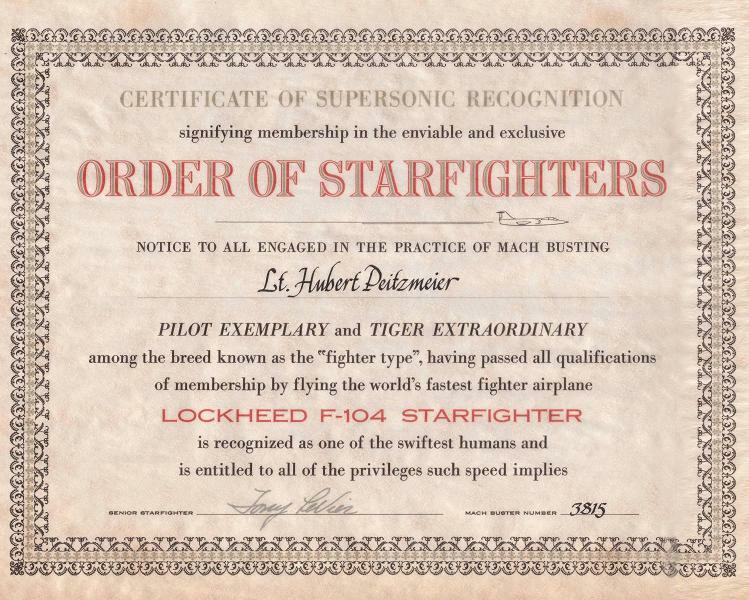 Another interesting certificate provided by Lockheed was the Certificate of Merit (flight safety) to Air Force squadron commanders. An example can be found beneath. 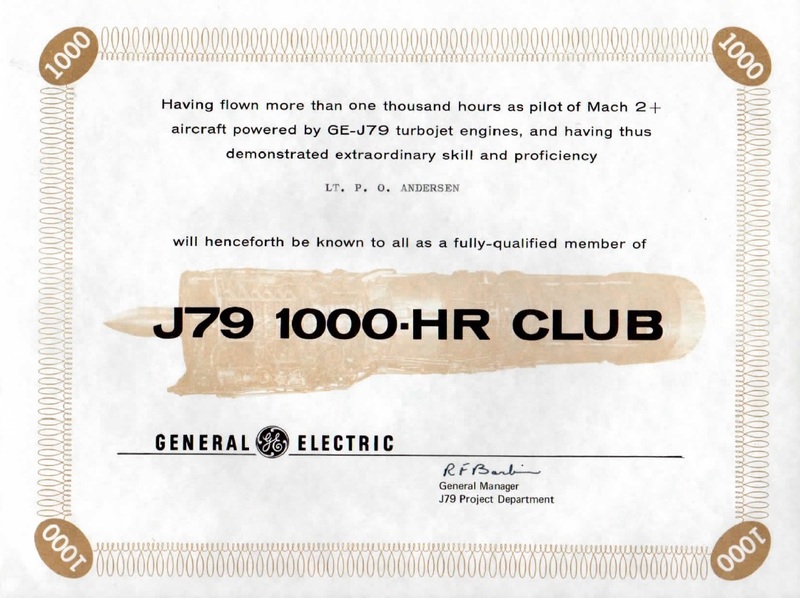 Finally also from General Electric certificates have been handed over to 104 pilots. 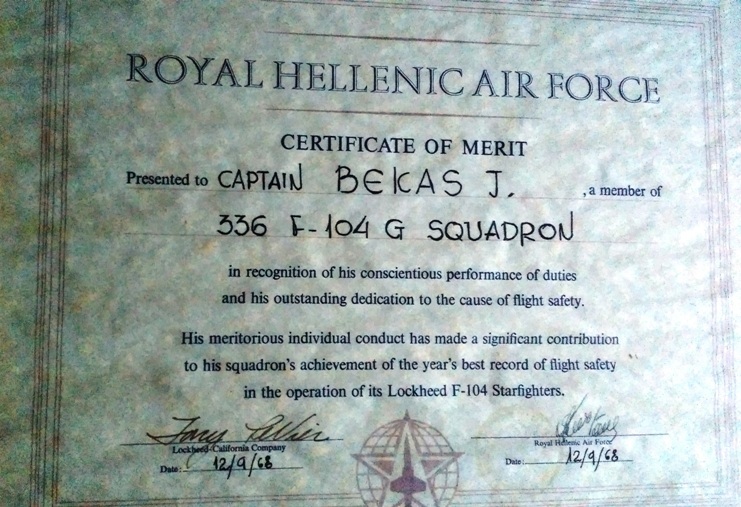 Beneath an example from such a certificate which Antiono Fogliani received after achieving 3000hours on the F-104 and Ioannis Bekas earlier on after achieving 2000 hours and Peter Otto Andersen for 1000 hours. 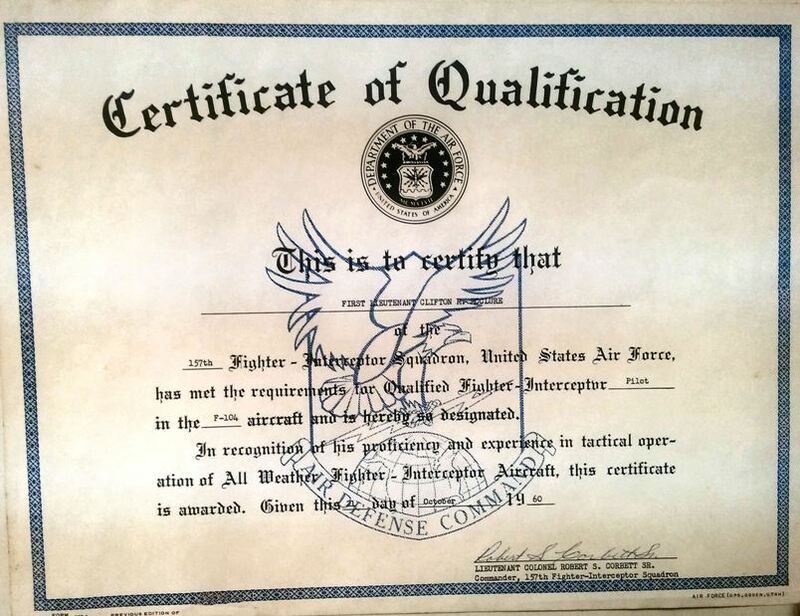 Within Air National Guard also certificates were given to pilots who showed skills above expectations. 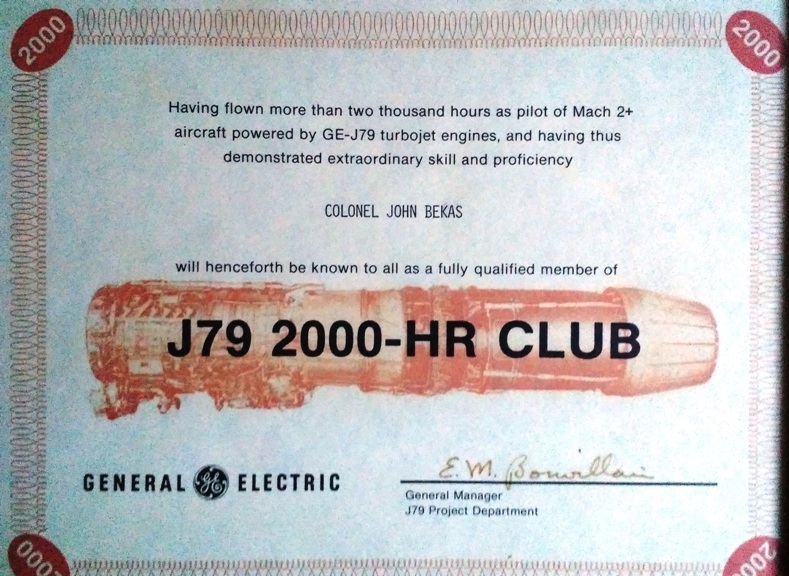 An example of such a certificate can be found beneath. 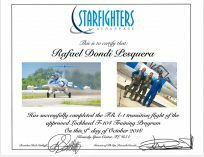 For those who have succeeded the Starfighter flight training with Starfighters Inc in Florida, a certificate is handed over. 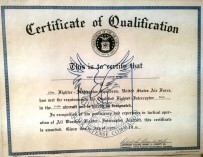 Beneath the certificate owned by Rafael Dondi Pescquera. 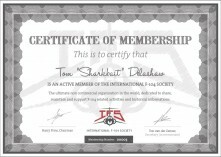 International F-104 Society Membership certificate. 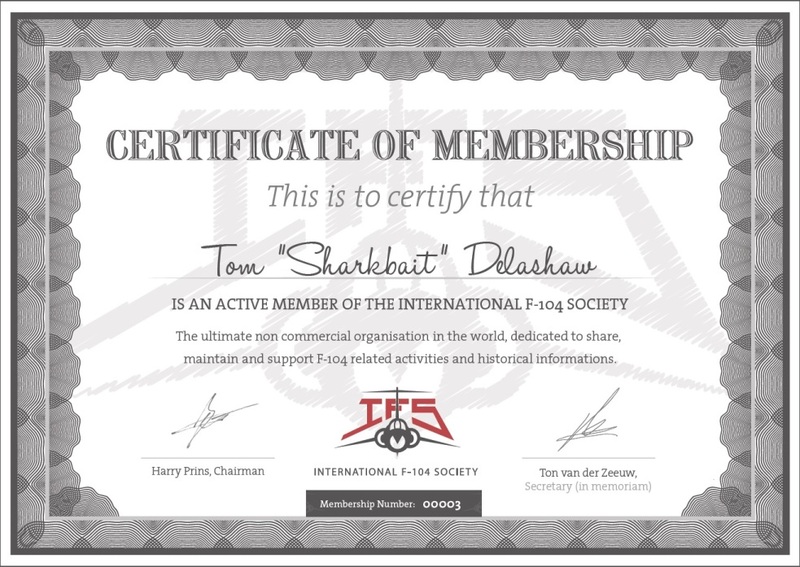 For members we have such a certificate available on request, see beneath an example from Tom Delashaw.